After what seems to have been months without a single point scored, we’ve now have had a glut of deaths and I can finally bestow some points at last! 55 points to Mark, Laura, Lee and Paula for correctly guessing that Stan Lee would die this year! Well done all of you! Douglas Rain, 90, Canadian actor (2001: A Space Odyssey). Stan Lee, 95, American comic book writer and publisher (Marvel Comics). Katherine MacGregor, 93, American actress (Little House on the Prairie). Roy Clark, 85, American Hall of Fame country singer and television host (Hee Haw), complications from pneumonia. Kim Porter, 47, American actress and model, cardiac arrest. William Goldman, 87, American author (The Princess Bride) and screenwriter (Butch Cassidy and the Sundance Kid, All the President’s Men), Oscar winner (1970, 1977), complications from colon cancer and pneumonia. Al James, 72, British bass guitar player (Showaddywaddy). Richard Baker, 93, English broadcaster (BBC News, Start the Week, Melodies for You). Miley Cyrus, Robin Thicke and Gerard Butler are among those whose homes have been damaged or destroyed as two wildfires sweep through California. The singer said she had been left “devastated” after her Malibu home was destroyed in the blaze as California battles one of the most destructive fire’s on state record. “My house no longer stands but the memories shared with family & friends stand strong. I am grateful for all I have left. Sending so much love and gratitude to the firefighters and LA country Sheriff’s department!” In another tweet, Ms Cyrus shared details of how to donate to various organisations involved in the relief effort. 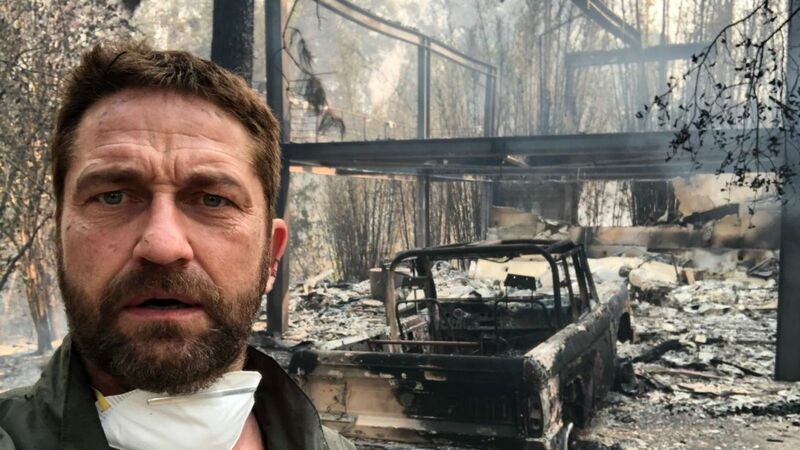 Actor Gerard Butler also took to Twitter to share a picture of the charred remains of his car and home, which were also destroyed in the Malibu fire. He wrote: “Returned to my house in Malibu after evacuating,” he wrote in the post. “Heartbreaking time across California.” Singer Robin Thicke’s Malibu home also burned down entirely, according to his representative. 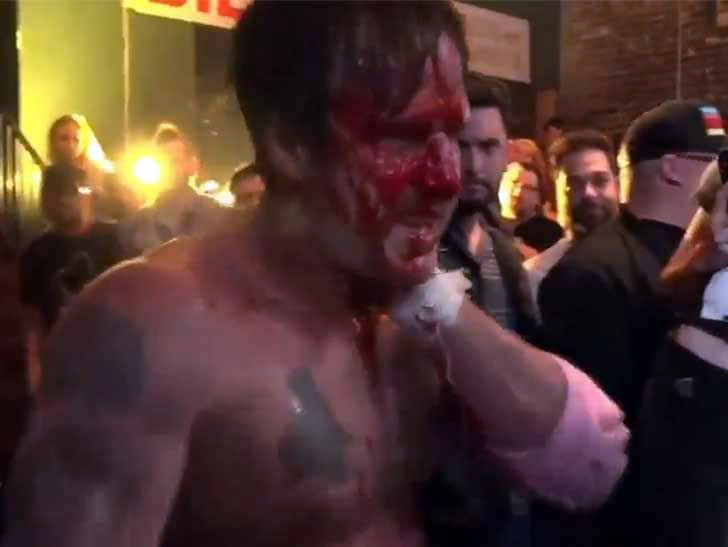 The 41-year-old singer said on Instagram that he, his girlfriend and his two kids are “safe and surrounded by friends and family” and “thankful to firefighters”. 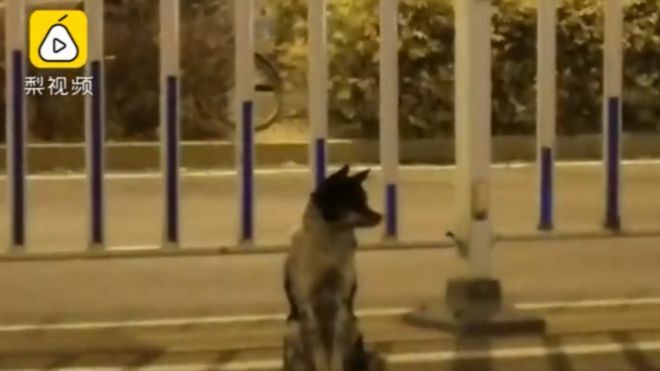 “As we drove to safety, they risked their lives trying to save our home,” Mr Thicke said. Many other celebrities including Orlando Bloom, Alyssa Milano and Lady Gaga were forced to evacuate their homes in southern California. But don’t feel overly sorry for these people, Gerard Butler is worth £30 Million, Robin Thicke has £15 Million and the 25 year old Miley Cyrus is worth a staggering £200 Million. 1928 – Release of the animated short Steamboat Willie, the first fully synchronised sound cartoon, directed by Walt Disney and Ub Iwerks, featuring the third appearances of cartoon characters Mickey Mouse and Minnie Mouse. This is considered by the Disney corporation to be Mickey’s birthday. 1963 – The first push-button telephone goes into service. 1978 – In Jonestown, Guyana, Jim Jones led his Peoples Temple to a mass murder–suicide that claimed 918 lives in all, 909 of them in Jonestown itself, including over 270 children. 1987 – King’s Cross fire: In London, 31 people die in a fire at the city’s busiest underground station, King’s Cross St Pancras. 1991 – Shiite Muslim kidnappers in Lebanon release Anglican Church envoys Terry Waite and Thomas Sutherland. Rachel McAdams (40), Martin Scorsese (76), Tom Ellis (40), Danny DeVito (74), Mary Elizabeth Mastrantonio (60), RuPaul (58), Jonathan Ross (58), Maggie Gyllenhaal (41), Missi Pyle (46), Martha Plimpton (48), Gemma Atkinson (34), Gigi Edgley (41), Mark Benton (53), Beverly D’Angelo (67), Jonny Lee Miller (46), Petula Clark (86), Sandahl Bergman (67), Paul McGann (59), Prince Charles (70), Gerard Butler (49), Whoopi Goldberg (63), Jimmy Kimmel (51), Ryan Gosling (38), Anne Hathaway (36), Gustaf Skarsgård (38), Wallace Shawn (75), Neil Young (73), Leonardo DiCaprio (44), Demi Moore (56), Calista Flockhart (54) and June Whitfield (93). This entry was posted on 18th November 2018 by kingofankh. It was filed under 2018 .